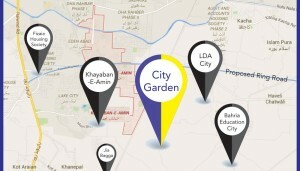 City garden housing scheme in Lahore is located adjacent to proposed ring road off raiwind road. Project is surrounded by many other housing schemes like Lda city, Bahria educational city, DHA rahbar. 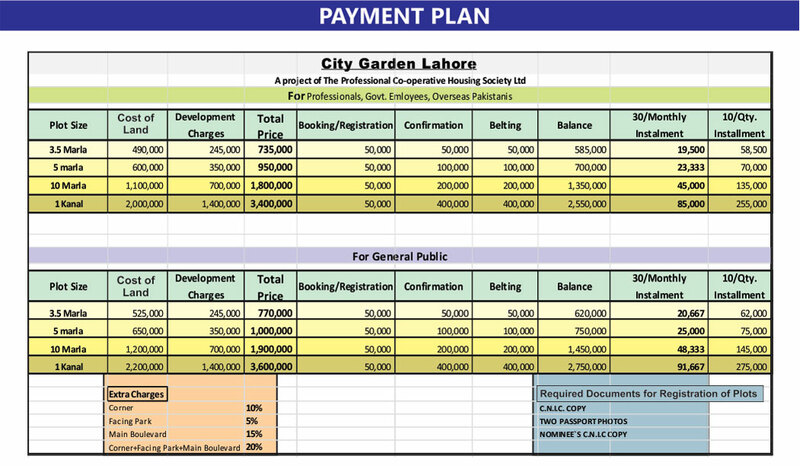 Project offers various sizes of residential plots booking starts from Rs 50,000 and rest of the amount will be paid in 30 monthly and 10 quarterly installments. And Rs 2000/- is memebership fee. 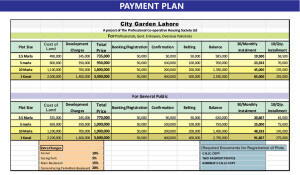 Here are the complete payment plans.